My wife has some paper flowers in a vase, and I'd love to add a couple of these to it. Still artsy, but oh-so-awesome at the same time. 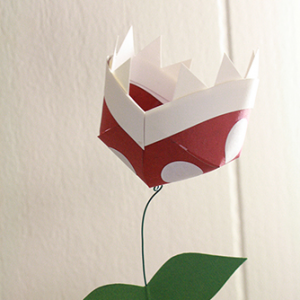 Simple DIY for a pest from the Mushroom Kingdom.